I’m just in love with this little garden shed conversion to a guest house. I think I’d be spending more time there than any guest would be. Garden Shed Turned Guest Room – Garden Designs – Decorating Ideas – HGTV Rate My Space. 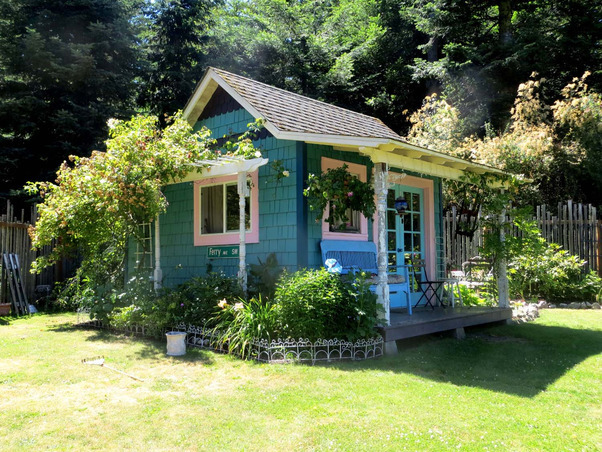 This entry was posted in Houses and tagged garden shed, guest house, tiny house by Julia. Bookmark the permalink.